Automotive window film does more than just look good – increased security is one of the least understood benefits of tint. Most of us take pride in our vehicles, even if they aren’t the newest models or most flash brands. Turning heads and getting people’s attention can be fun, but sometimes attention isn’t what we’re after. If passersby can too easily see inside a vehicle, it can put that vehicle and the valuables inside at considerable risk. Privacy glass is an elegant solution to keep prying eyes out of your vehicle’s interior. Most auto crimes are crimes of opportunity, so removing a criminal’s ability to see inside your car is a serious deterrent and will help keep you safe. 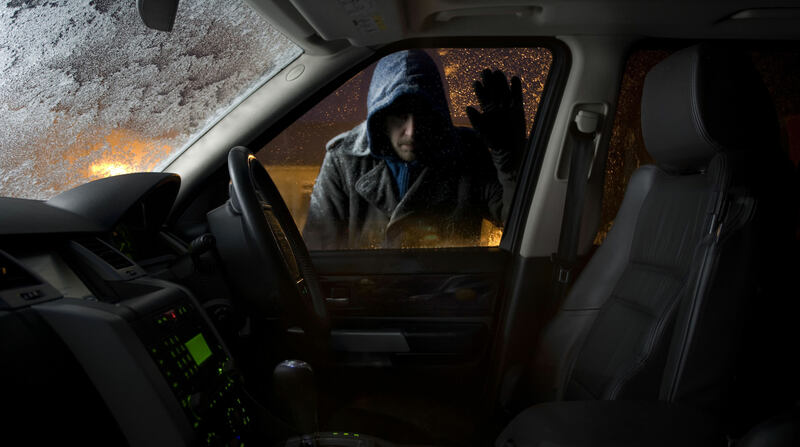 Vehicle burglaries are regular occurrences in all urbanized areas. Even in crowded, well-lit areas, drivers will return to their cars to find the windows smashed and their vehicles ransacked. Even if nothing expensive is stolen, a break-in is traumatic and dealing with the damage to your vehicle is annoying. Police officers advise us to hide any valuables out of view when we leave our vehicles parked. However, thieves are wary and will go after any hint of valuable goods. Moreover, hiding our valuables isn’t something we think of every single time we leave our vehicles. Sometimes we are in a rush, or simply forget to tuck that wallet or phone into the glove compartment. Drivers need a permanent hands-off solution. Fortunately, privacy film is a simple and inexpensive way to solve this problem. By treating your vehicle’s windows to prevent thieves from seeing inside, you can protect your car and property from damage and theft. If criminals can’t see any valuables in your vehicle, they are likely to move on to the next vehicle in which they can see something worth stealing. Privacy film is a much better solution than hiding all your possessions each time you leave your car. Privacy film will also help you feel more comfortable while driving your car. Privacy isn’t the only thing that window film can improve – the same window film that keeps you and your vehicle safe from theft and vandalism can also protect you from solar glare. Reflected sun off of shiny surfaces – such as a wet road or the windows of nearby buildings – is one of the most dangerous issues faced by modern motorists. Solar glare comes right through our windshields and blinds us. Blinding solar glare at the wrong moment can prove disastrous. Accidents happen quickly, and it’s important to protect ourselves from such obvious hazards. Whether you are looking for protection from burglars or the sun, high-quality window film is the best solution. Autobahn window films represent the best quality in the industry and are backed by an unbeatable manufacturer’s guarantee. To find the right combination of features – such as security and glare elimination – just send us a message or give us a call, we would love to chat.